Humans are organic chemistry structures living within the fabric of NATURE on the surface of earth. Many human expressions ...can be considered from the view of Nature's various levels of existence. For example, if we assume that Nature has an organic chemistry government and organic molecule design engineers ...we can see their building projects over the last few million years. Thus the design and building of biological buildings such as cellulose trees, dinosaurs, and elephants. Physical humans were just another project. Then evolution continued with the symbolic humans ...... languages, books, math equations, physics formula, etc. Now, in year 2012, we notice that Nature's organic systems have advanced .....and is sending social chemistry data signals in the format of tragic EVENTS. In modern times, "All the world's an organic stage and organic humans are players (p layer = processing layers)". Let's look at some events that give CLUES to the new social engineering methods of Nature .......... evolutionary direction of NATURE. On August 5, 2012, a mass shooting took place at a Sikh temple in Oak Creek, Wisconsin, with a single gunman killing six people and wounding four others. Let's consider Computer Earth system 370 ....and the Charles Dickens concept ... " The Tale of 2 Cities". In modern VIEWS of science ...with IBM BASE 2 binary systems .......we have the " The Tale of Base 2 Cities" . What are these 2 Cities? Let's consider ..other cities ..... organic molecule cities and symbolic word cities. 1) Nature and its organic molecule cities comprised of organic molecule humans. 2) Languages used by the human brain .... the symbolic cities of nouns, verbs, equations, etc. Can these cities help us understand social science REALITY? If Nature's has anger over the organic molecule humanoid structure thoughts .....could Nature create an organic tragedy ..to send a message to the world.. Let's consider a tragedy as an organic chemistry parallel EVENT .... a message EVENT. Let's consider a theoretical model of the situation using existing concepts found in a college basic organic chemistry text book. the metabolism-director of children and adults in NATURE's problem regions.. Above, .....we see the organic system COMMAND words --> deactivate the meta position --> and that is what happens in a tragic DEATH situation. The deactivating group ....... the group at Fort Hood, the group in Norway, the group with Princess Diana became deactivated for group violations. Their countries violated some SOCIAL CONTRACT with Nature ...such as described by John Locke and others. accurate (date, time , location, victims, police data gathered,etc). Thus a serious analyst has a complete database that allows one to explore the deeper levels of how the molecular anger was expressed VIA the humanoid Shakespearean actor /shooter. Thus we see chemistry formula ---> transformed into --> chemistry social engineering message EVENTS and social chemistry process control system SIGNALS. 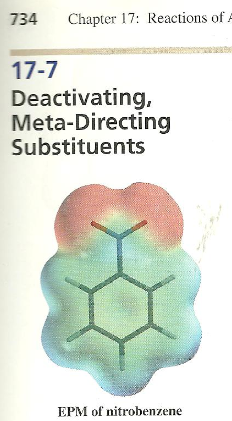 Below, we see the chemistry formula SYMBOLS ---> that get transformed / mapped ---> to physical reality. Below, the theory of the ortho attack at the MIlwaukee, Wisconsin SCIENCE WAR region. C = Carbon life form ...Darwinian selection of C = Cudahy humanoid shooter. Aug 5, 2012 – ... Authorities investigating Sunday's mass shooting at a Sikh temple in ... executing a search warrant at a home in Cudahy Sunday evening. Fe= Federal government and its violations of the Margaret Mead periodic atomic table elements of life. Thus we see CLUES ...pieces to a puzzle about the 11-dimensions of string theory physics and GUT theory. Grand Unified Theory and the TOE (Theory of Everything) includes the organic chemistry .... social chemistry war EVENTS.